Two teams. Two distinctly separate paths. One goal — to return home to Washington with the title of National Champions. 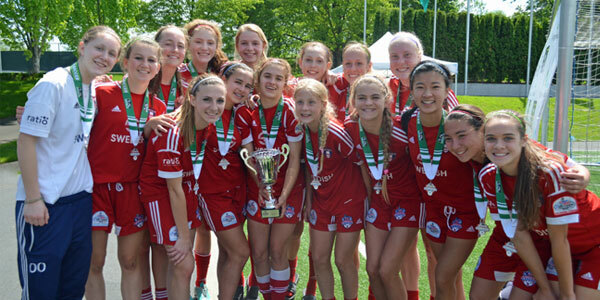 That's the task ahead this month for Washington Youth Soccer's Tacoma United B98 Chelsea and Eastside FC 98 Red, each of whom will take to the field in July against top teams from throughout the United States in exclusive national competitions. A total of 10 Washington Youth Soccer teams — mostly Challenge Cup champions — attended June's Region IV Presidents Cup in Morgan Hill, Calif., while 26 of Washington's elite youth squads took to the fields at the US Youth Soccer Far West Regionals in Albuquerque, N.M. On the line for all 36 — berths at July's National Presidents Cup and US Youth Soccer National Championships, the most prestigious tournaments in all of US Youth Soccer. 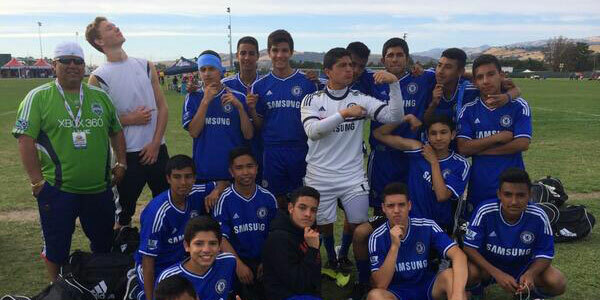 Of the 10 teams at the Region IV Presidents Cup, six qualified out of the group stage, while three made it all the way to finals, with Tacoma United B98 Chelsea winning the boys under 15 division. Actually, “winning” might be an understatement — the Tacoma United boys dominated the field at regionals, scoring 15 goals while failing to surrender a single one into their own net. Vicente Aquino ranked second among all scorers in the age group with four goals, including the lone score in the 75th minute of the championship game against Cal-South's Wolfpack SC. Nikolas Mejia added three goals for Tacoma United, which will now travel to Greenville, S.C., for the National Presidents Cup July 10-13. Full details, including a schedule and results, can be found at right. In addition, a complete recap of Washington Youth Soccer action at regionals can be found here. While that was going on in California, Washington Youth Soccer's other 26 regional competitors were en route to New Mexico for Far West Regionals, where the top teams from 14 Western states convened to determine who would represent Region IV at this month's US Youth Soccer Nationals. Nine of Washington's teams reached the seccond round, and two made finals, with Washington Premier FC 01 Black dropping a heartbreaking 1-0 decision on penalty kicks (4-5) to Cal-South's SoCal Blues, and Pac NW 97 Maroon losing 5-0 to Beach FC (Cal-S). For recaps and videos of each day's competition, click here! Those losses aren't the end of the road for Washington in the nation's premier tournament, however. Defending national champions Eastside FC 98 Red may have suffered their first tournament loss in over a calendar year when they dropped a 1-0 decision to Arizona in the Far West Regional quarterfinal, but no matter — the talented team, which last year rolled through the postseason en route to Washington's first national championship since 1999, has already clinched a berth at this month's nationals via their first place finish in the prestigious US Youth Soccer National League. Eastside FC kicks off its title defense July 22 in Germantown, Md., where they'll battle regional champions and National League qualifiers from around the country. Group play runs through July 24, with semifinals July 26 and finals July 27. A full schedule, including links to results, can be found at right. Congratulations to all of the Washington Youth Soccer teams that competed at regional championships this month, and good luck to Tacoma United B98 Chelsea and Eastside FC 98 Red at nationals!